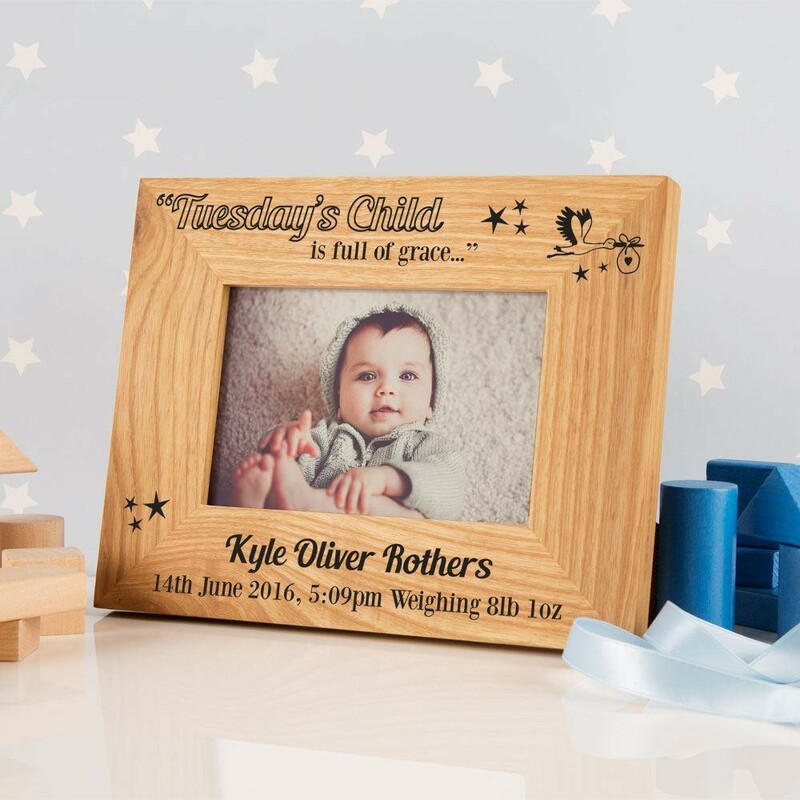 A traditional gift with a personal touch for a new baby, born on a Tuesday. 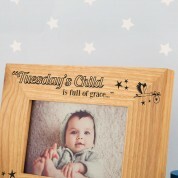 This solid oak frame is laser engraved with “Tuesdays child is full of Grace”. It features a cute graphic of a stork flying through a starry night sky. We laser engrave in house so every frame is different. It features the baby's full name and your own choice of message at the bottom of the frame. 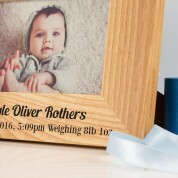 The chunky landscape frame holds a 4 x 6 inch photo. Every frame is unique because of the natural grain of the wood. 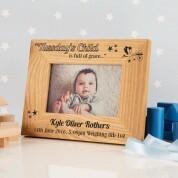 The traditional oak will suit any décor, especially in the baby's nursery. A truly on of a kind gift to treasure for years to come.